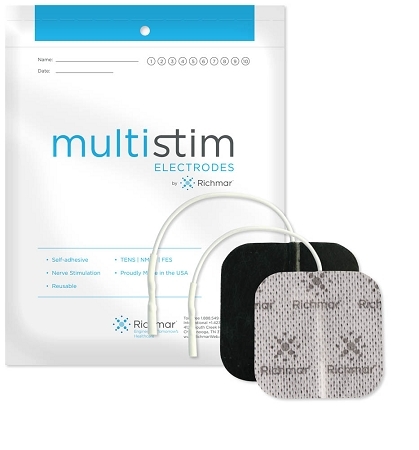 Over 35 years of electrotherapy experience has given Richmar the insight to create the ultimate electrode. A new line of electrodes incorporates the best of all existing technologies. The most impressive is Richmar's proprietary bonding and moisture barrier layer called LEADSTAY. This eliminates delamination when applying moist heat therapy, and provides the highest lead wire pull-out strength in the industry. 2x2 Cloth Backed Electrode -Electrode therapy uses low levels of electricity to stimulate back muscles with the goals of faster healing and pain relief.